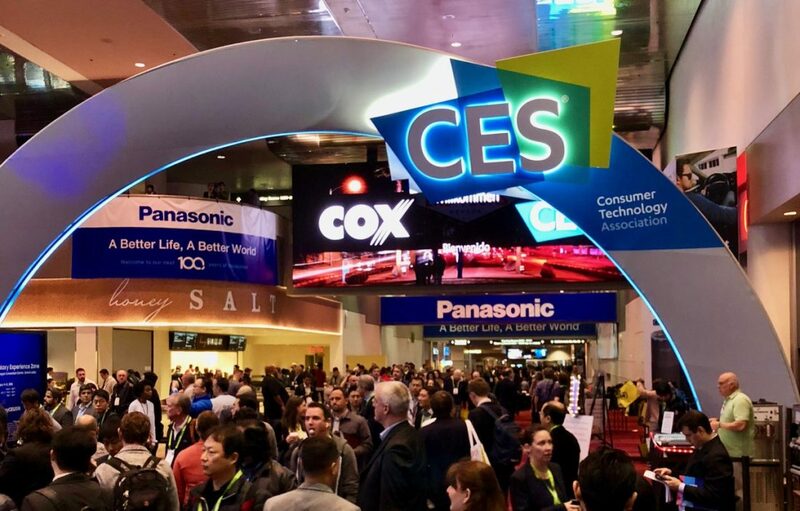 To kick off the year with a bang, the Consumer Electronics Show 2017 took place between the 9th – 12th of January. Exploding with an array of impressive innovations in all areas from hot gadgets such as drones, to self-driving cars, virtual reality headsets, and robots the event promised to be thrilling and we think it delivered exactly what 2017 needs – fun and excitement! So here’s the lowdown of 7 most original and creative technological advancements that WE would love to get our hands on! ZTE Hawkeye is a phone that’s literally thinking outside of the rectangular aluminium box, and it’s a concept that just might ‘stick around’. The idea behind the proposal was to create a phone you could navigate with your eyes, say, while brushing your teeth by sticking it to a wall, then scrolling hands-free. An unexpected obstacle, naming this phone proved to be tricky as the eye-tracking feature gave way to endless amusement on the internet. What you are looking at right now could have been named ‘Phoney McPhoneface’, quite sad that it’s not. The only projector designed for a complete immersive gaming experience, that automatically adapts the projection to the size and dimensions of your room giving you that extra peripheral vision into the game. Project Ariana uses a pair of 3D cameras together with a custom calibration software to automatically detect your monitor and environmental factors such as furniture, to provide the ultimate perfect display for your room. Razer, known for its gaming laptops and accessories,unveiled the world’s first triple display laptop. Constructed to be incredibly powerful yet mobile, this revolutionary laptop gives easy access to three eye-popping 4K displays. Regardless of where you are, you can have the visual superiority of a 12K desktop setup to excel both at work and play. Wearable technology has been one of the hottest topics at CES 2017. The Rotex Electronic Tattoo performs many of the typical functions of your wrist-mounted activity tracker—monitoring vital signs, brainwaves, muscle performance, etc.—through an ultra thin adhesive patch that sticks directly to your skin. These electronic tattoos can track muscle movements and translate them into commands that would allow the wearer to wirelessly control a device. Unveiled by Mayfield Robotics, Kuri is a small but highly intelligent personal buddy that is characterized by awareness, and mobility. The adorable design is sourced from the beloved robots of popular culture like R2-D2 and WALL-E, however, Kuri can be recognized from its unique personality and extraordinary connectivity abilities. The smart bot can understand context and surroundings, recognize specific people, and respond to questions with facial expressions, head movements, and unique sounds. Without a doubt, Kuri would add spark to any home, and I really want one now, just look at that face! Lastly but by no means least, the greatest development (the best I hear you say?) comes from Zero Zero’s Hover Camera. This selfie-drone recognizes, finds and auto-records its owner allowing you to leave your phone in your pocket. It comes with 4K video recording capabilities with 32GB storage. The drone uses its 13-megapixel camera and the AI-face tracking system that lets it automatically recognize a face and body for a perfect selfie.